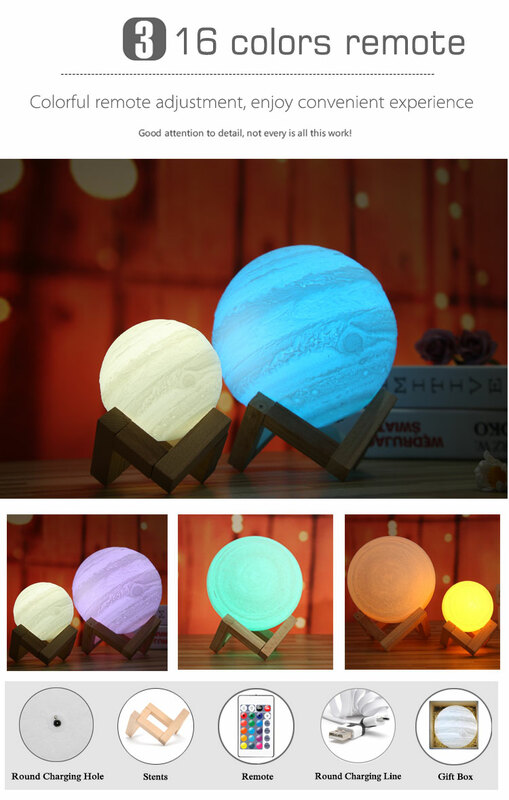 As the largest planet in the solar system, Jupiter symbolizes strength and power. 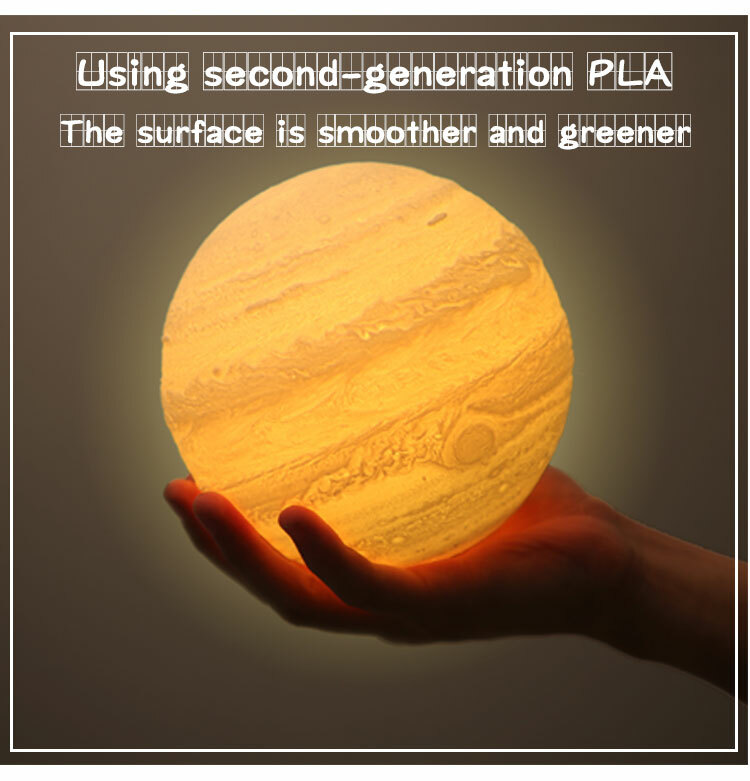 This one is realistic and will relax with a strong glow. 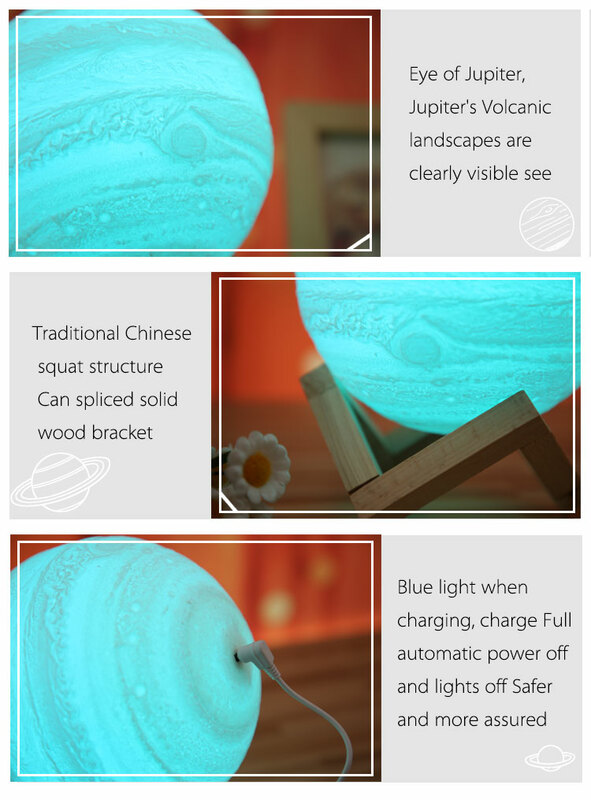 I highly recommend this to anybody who has family members who love astronomy. It was so real and life like we couldn’t believe it. We literally stood in the kitchen with the lights off playing with it for an hour. A must have! 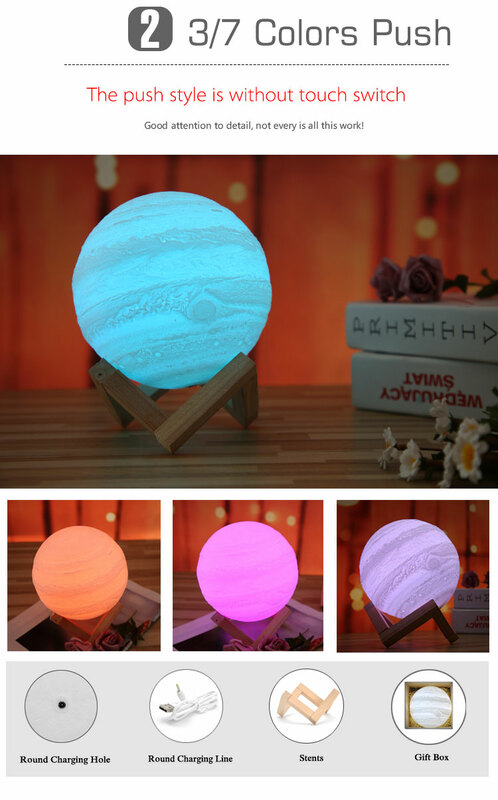 Beautiful Jupiter lamp, cant get my eyes of it! It’s the best thing I have ever gotten and it’s for a great price! The light is soooo beautiful. It has such a nice glow to it! The neatest thing i've bought !!! Took it camping, way easier on the eyes than a flashlight. 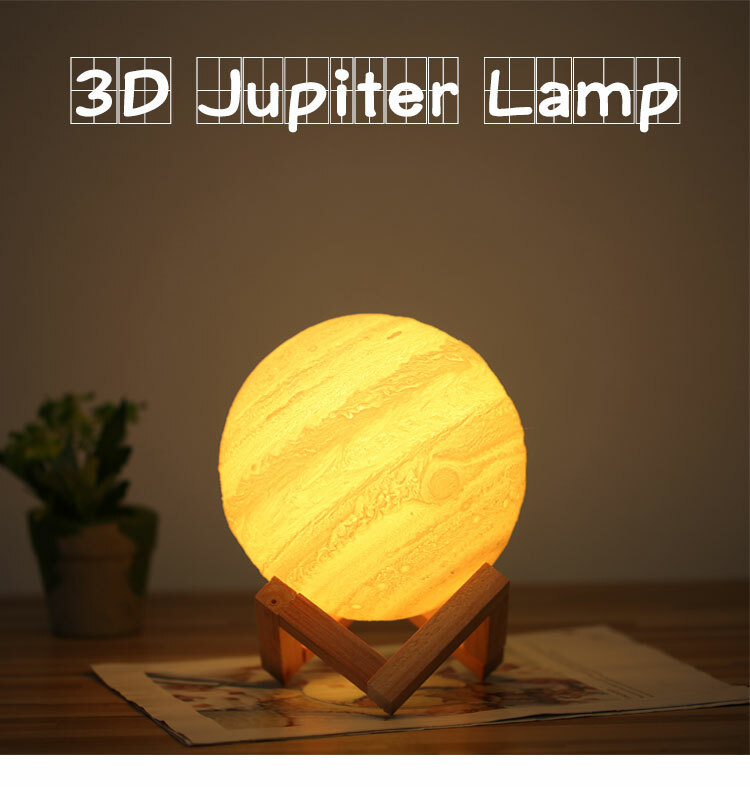 Love this 3D Jupiter Lamp! Will be getting another one as a gift.